A new ready-to-use, high-heat stainless steel paint that will not discolor, chip, crack, or peel at temperatures up to 1200°F for a wide range of industrial, automotive, and consumer product applications is being introduced by Dampney Company, Inc. of Everett, Massachusetts. Dampney Thurmalox® 282 Stainless Steel Paint is a one-component silicone coating that adheres to any cast and machined metal surfaces and will not discolor, chip, crack or peel at temperatures up to 1200°F. Suitable for a wide variety of uses, this high-heat stainless steel paint comes in aerosol spray cans and quarts and gallons for application by brush or roller. 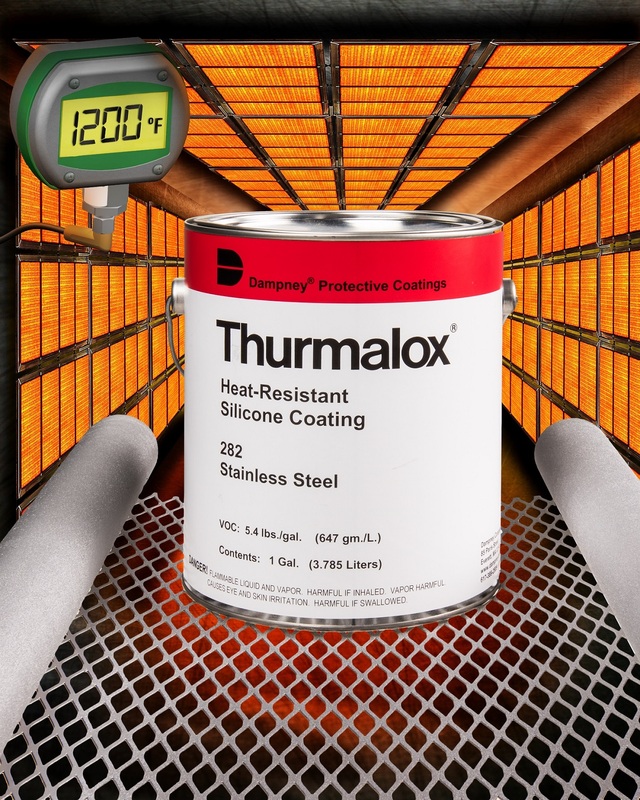 No mixing is required and Dampney Thurmalox® 282 Stainless Steel Paint is designed for applications such as industrial heaters, vents, conveyors, compressors, piping, process components, turbines, and vessels. Automotive applications include exhaust manifolds and consumer products include BBQ pits, smokers, and grills. High heat or high temperature paints in colors are also offered. Dampney Thurmalox® 282 Stainless Steel Paint is priced according to package and quantity. Pricing is available upon request.